The helicopter training PPL(H) is effectively a licence to fly helicopters in your private capacity. The PPL allows you to fly friends and family, in a rented helicopter or your own machine. Acquiring your helicopter private pilots licence, is probably the most exhilarating and rewarding experience you will ever endure. It is a huge achievement in terms of uniqueness. There is certain criteria before you initiate your private pilots licence. You may start your helicopter training at 16 Yrs old and you may also go solo at this age, however you need to be 17 Yrs old to complete your PPL(H) skills test. Our approach to training is 100% tailored to the needs, goals and lifestyle of our students. All flight training and ground briefing is done ONE-ON-ONE so you can train at your own pace. Some students cannot afford the time or the money to train intensively whilst other students prefer to get stuck in and get it done as quickly as possible. As we are a Robinson Helicopter dealer we train primarily on the R22 and the R44. Both these machines are great platforms to build a solid understanding and respect for helicopter flight. 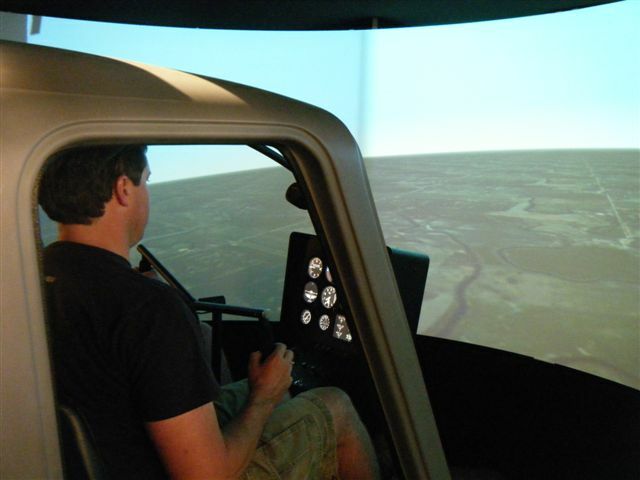 As a student pilot we can train you on one of our school machines or your own helicopter. Our instructors are rated and experienced on most piston and turbine engine helicopters. How to get started with Helicopter training! 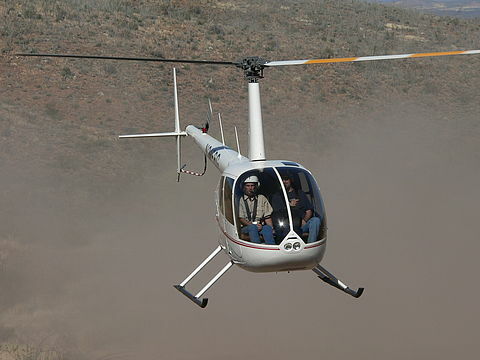 This is the first chance to experience the flying of a helicopter. This short “sortie” incorporates a full 30 minute pre flight briefing to explain the principles of flight and the effects of the controls for the helicopter. Next is to go airborne, your instructor will demonstrate each of the controls before inviting you to take each of them yourself. This is the initial stage of learning to fly; the flight time will be logged towards your licence. Flying Lessons are ideal for anyone interested in flying or who wishes to undertake a flying course. The Flight Discovery Day provides a thorough introduction to the initial stages of learning to fly. The day consists of two hours briefing and two hours flying covering the effects of the controls, power and altitude changes, turns, climbing, descending and hovering; once again this time can be logged towards a PPL(H). To complete your helicopter training in South Africa, the following subjects need to be written in order to complete your PPL in South Africa. The exams may be completed online through a CAA registered training facility. Alternatively, the exams may be written at the CAA offices in Midrand, Johannesburg. The pass-mark for the below list of CAA exams is 75%. Is is also worth mentioned that all PPL exams are multiple choice. We have a Helicopter Simulator. Did you also know that 5 hours of Helicopter Simulator dual training counts toward your 50 hours required for your PPL? This is a total legitimate method of training and fully authorised by the CAA. Furthermore, it will reduce your costs towards your helicopter training. The Helicopter Flight Simulator (Sim) is ideal for the effects of the helicopter, without the outside factors intimidating your concentration. Effects could also mean: wind, rain, mist, etc. Have you ever wondered how pilots navigate in poor visibility? The answer is navigation instruments. The simulator is the perfect place to get an idea on how this whole system functions. On the lighter side: You may also prove to yourself finally, once and for all, that a helicopter can or cannot fly up-side-down. We recommend you try this when your instructor is not looking! 2 Prep for flight & action after flight. 4 Effect of controls in forward flight. 5 Attitude & power changes. 6 Straight & Level; Climbs & descents. 8 Basic hover in-ground effect. 10 Hover & taxi out of wind. 16 First solo: (maximum of 2 circuits). 17 Consolidating of skills learned to date. 18 Advanced hovering and manoeuvring. 26 Slope landings and take-offs. 27 Confined area & out-of-ground effect ops.